Nintendo have today announced details of their financial results for the first nine months of the current fiscal year, through December 31st, 2012. Nintendo saw year-on-year increases in the sale of 3DS hardware (up 11% year-on-year), and software was up 41% year-on-year, those sales were not enough to offset decreased sales of the Wii and DS hardware and software. Furthermore, the strength of the Yen against the Euro in the first nine months of the fiscal year contributed to an overall decrease of 2.4% in sales. On the other hand, Nintendo have now returned to profitability in ordinary and net income levels, driven mostly by foreign currency exchange plans. Beginning in March and continuing through the rest of the calendar year and into 2014, Nintendo will release a cavalcade of strong, fan-favorite software titles for both Wii U and Nintendo 3DS. New entries in the Mario Kart, Super Mario, Legend of Zelda, LEGO City, Wii Fit and Pikmin franchises will help Nintendo regain momentum for Wii U. Additionally, highly anticipated Nintendo 3DS games such as Luigi’s Mansion 2 and Animal Crossing: New Leaf have the potential to be hardware drivers and bring new audiences to the platform. *LTD and April-Dec 2012 software unit sales include both standalone and bundled software. Let us know what you think of these figures, below. 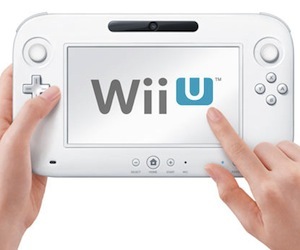 It seems the Wii U has sold 3.06 million units worldwide, which doesn’t seem to shabby, to be honest. Compare those figures to the 3DS however, and it shows that Nintendo’s handheld console is still extremely strong, with the DS itself selling over 30 million units, and the Wii even going past 45 million. The lifetime sales of the two older consoles are astounding, too.